What’s next for the Class of 2015? 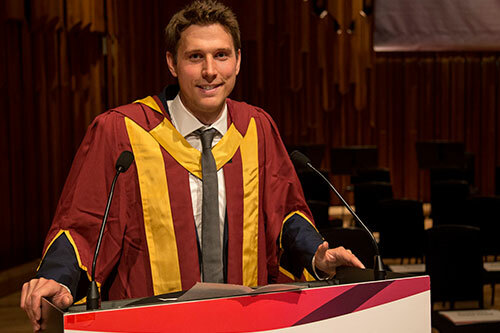 More than 6,000 students graduated from City University London this summer in subjects ranging from Optometry to Engineering. 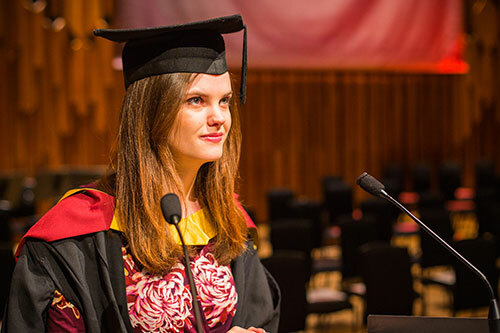 Following their graduation, some of the University’s new graduates have shared their experiences and insights about what it’s like to study at City and their plans and ambitions for the future. How do you feel to have graduated from City? 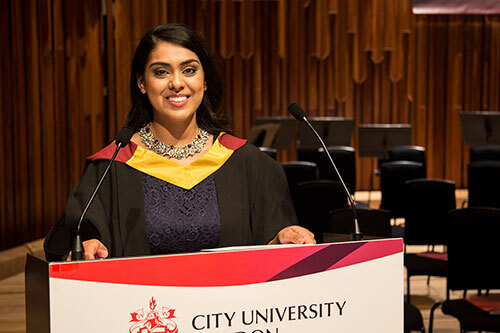 I am delighted to have had the experience of studying at City and to have so many fond memories to look back on. Of course, there is also a tinge of sadness to leave undergraduate study and see everybody head off in their different directions. I was extremely honoured to be chosen as the student speaker but as the graduation day drew closer the nerves set in. The best part about my time at City was the fantastic music ensembles I have been able to play in and the incomparable support from the music lecturers. My third year exam and deadline periods were tough, along with the build up to the graduation speech. What do you plan to do now that you have graduated? I have been awarded the Robert Anderson scholarship so I will be returning to City in September to begin my Masters in Music which is really exciting. My advice to new students: the time will fly by so make the most of opportunities. Work hard but make sure to enjoy yourself too. I have mixed feelings about graduating. On one hand, I feel expectation and joy for what is to come. On the other, I will miss being an undergraduate at City. In any case, the most overwhelming feeling is an impatience to take the next step in my career. When I was told that I’d been chosen as student speaker, I was honoured beyond words. However, when I started writing my speech, I started to wonder how I, a single graduate, would be able to sum up, or do justice to the countless feelings which would certainly be felt on graduation day? The best part about my time at City was studying law. I truly received a world class education with distinguished professors I will never forget nor lose touch with. They have equipped me with the passion, tools, and skills I need to fulfil my aspirations. When writing my final paper for my International Criminal Law summative assessment, I thought I would never finish. However, it ended up being my highest mark, with a very high first class. What advice would you offer to new students and your fellow graduates? To new students, I would say, do not waste your time. You have hopefully picked a subject you love, so live and breathe your studies and you will enjoy and benefit from university. To graduates, I will say what I said during my speech. We have all had the privilege of attending City, a diverse institution. We should take the values of tolerance and pluralism embodied here and make the world a better place for all - where everyone can live together in peace. I have been fortunate enough to receive a Major Scholarship from the Inner Temple, and will be studying the Bar Professional Training Course at The City Law School from September. After that, I plan to undertake Pupillage to practice as a Barrister in areas of human rights and public law. I’m really delighted to have been awarded my degree. Although my student career has now finished at City, I’ve been lucky enough to get a four-year Research Fellowship job in the Computer Science department so it’s not all change. What was the best thing about your time at City? During the second year I presented my PhD work at several international conferences for the first time. This was great fun and I learnt a lot from discussing the work with specialists in the field. Writing up the thesis is hard, there’s always other bits of research and analysis you’d rather be doing. Procrastination is also a real problem on the rare occasions that the weather’s nice. However my three-year studentship helped to keep me on track. The prospect of having no money after the three years was up helped focus the mind. To new students, at university you are responsible for your own learning and development. As well as studying subjects that are core to your discipline, make sure that you pursue the topic areas that interest you the most. To graduates, we’ll be probably be working into our 70s. Don’t settle too early in a career that doesn’t interest you. I feel a mix of emotions; happy and overwhelmed, proud that I have achieved a BSc (hons) in Optometry & Visual Science, sad that it has come to an end but excited about what the future holds. It's the end of an amazing era but the start of another unforgettable experience. When I was chosen to be a student speaker, I felt humbled and honoured to have been given such a great opportunity to deliver a speech on behalf of Optometry. It was a surreal experience but I enjoyed every moment on that stage. The best thing about my time at City is the wonderful friends I have made who have given me the confidence to do things that I thought I would never have the guts to do. This includes doing a skydive earlier this year to raise money for the Royal National Institute of the Blind. Travelling to City everyday with journey times as much as two hours each way. But I held firm in my commitment and it was definitely worth it. Nothing worth having comes easy. City is a great institute with a huge reputation. You can be confident in knowing that you are being taught by some of the best and well respected lecturers and professors. I will be diving straight into my pre-registration year as an optometrist. From what I hear it is going to be a tough and gruelling year ahead but I feel confident in knowing that I have been taught by some of the world’s best lecturers and am well equipped entering the next stage of my career. Limited spaces are still available on undergraduate degree courses at City University London through Clearing 2015.